A very important aspect of a role-playing game where your decisions count is to see the effect of those same decisions. Fallout New Vegas is very near and dear to my heart. While the game absolutely nails so many aspects, it did have a major shortcoming. It was the fact that you couldn’t explore the Mojave wastelands after the end game sequence. 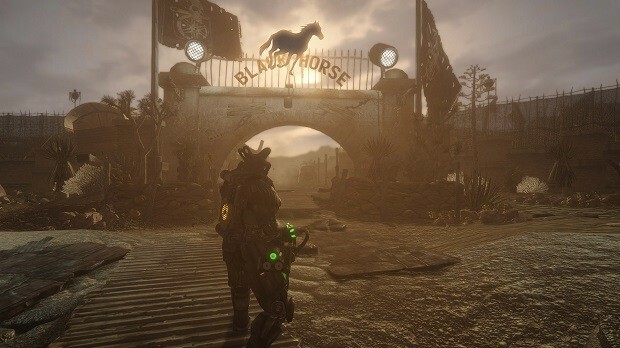 Thanks to a mod though, you can now gander at what became of the Mojave wastelands in the Fallout New Vegas FPGE mod. FPGE stands for functional post-game ending. You can find the mod here. The good news is that this mod is compatible with so many others as long as they don’t affect the same thing. Now I understand that a lot of us have a sour taste in our mouth for Bethesda after the Fallout 76 disaster, but this is a great opportunity to revisit one of the best RPGs out there. If I can remember correctly, Fallout New Vegas has its ending sequence in the Hoover Dam. That’s where the battle for the West between the NCR and Caesar’s Legion takes place. Depending on your choices, either you take over the dam, the NCR does or the Legion does. But what happened after that? We don’t exactly get that clarification outside of a slideshow. The DLCs, on the other hand, did have proper endings. You do walk away from the Sierra Madre in Dead Money and based on your choice in Lonesome Road, there are consequences. That same concept has now been extended to the main game as well. All Fallout New Vegas really lacked was a proper end game. With the Fallout New Vegas FPGE mod, patrol routes, location control and even NPC dialogue are all affected by your choices leading up to Hoover Dam. Fallout New Vegas was developed by Obsidian for previous generation of consoles. You can still get the game on PC though, which is the only place you can mod it really. Fallout: New Orleans Logo Trademarked, A New Obsidian Game in Development?